Thailand has waived off Visa fee for Indians and select other countries for December 2018 and January 2019. This will save you upto 2000 THB or INR 4300 in Visa on Arrival fee that would be charged outside this period. 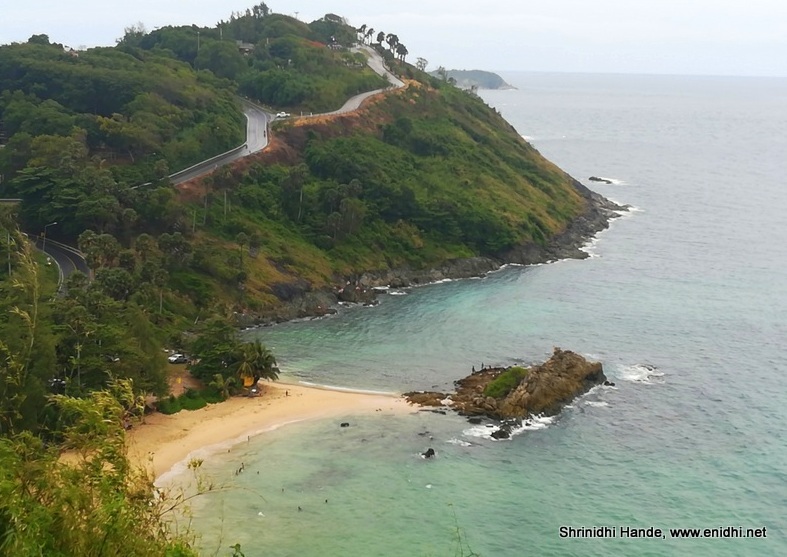 So if you had Thailand on your mind, now would be the right time. But there's a challenge. December and January are peak travel seasons. Flight tickets won't be cheap. What you save on Visa fee, you may spend much more on flight tickets if you can't plan well or book last minute tickets. But worry not. Below I have identified a set of cheap return tickets to Thailand for January 2019 from various cities in India. 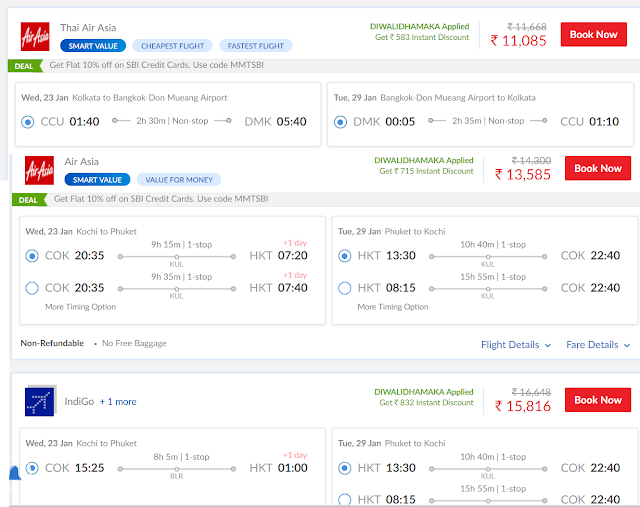 Refer screenshots below- from various cities in India- Chennai, Trichy, Kolkata, Bhuvaneshwar, Kochi etc cheap tickets to Thailand (Bangkok DMK or Phuket) are available for under 15k INR. This is a reasonable fare for last minute travel. All are budget airlines- food and baggage will cost extra. Only 7kg cabin bag is included in fare. Visa fee is waived off as long as you enter before January 31 2019, so it is ok if return date is in Feb 2019. 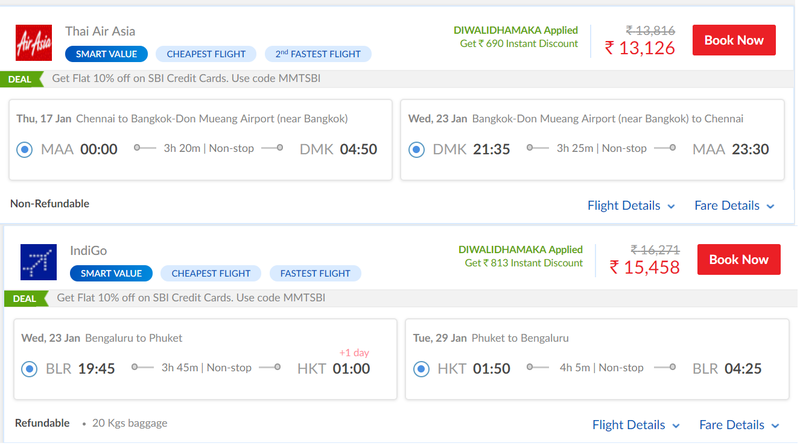 Try different dates till you find lowest fare- you may even find it cheaper than what I have shown above. Most low fare tickets are usually no-refund, no date change types. If you're not 100% sure of traveling, you might risk losing all of it.